This European country is widely recognized for its diverse tourist destinations and is the most visited country in the world with 86.9 million international tourists visiting the country in 2017. 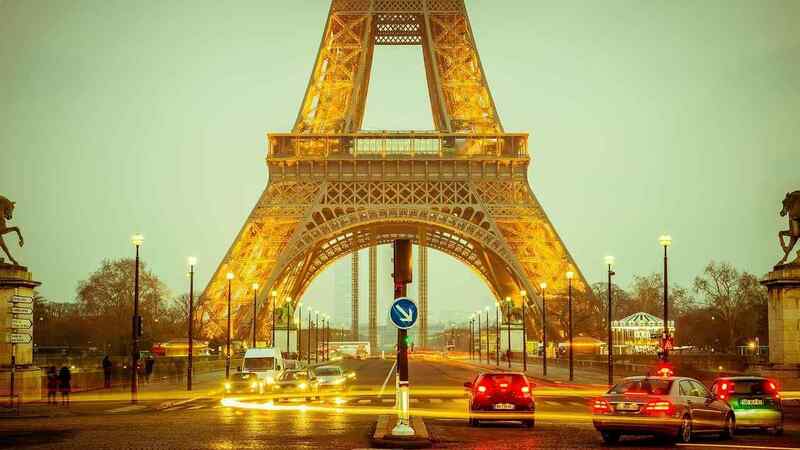 Paris, Strasbourg, Alsace, and Lyon are the main cities that attract tourists. Apart from this, there are many attractions like beaches, small picturesque villages, natural parks and forests, adventure sports, historical destinations and luxury destinations offering something for everyone. 9.7% of the country’s GDP comes from tourism of which 30% is contributed by foreign tourists while 70% comes from domestic tourism. The country is famous for its couture fashion houses, beautiful art museums and the most famous monument in the country is the Eiffel Tower. It is the most visited country in 2017 by attracting over 86.9 million international tourists across the globe. The motto of the country is “Liberty, Equality, Fraternity” and it uses 12 different time zones which is the maximum by any country in the world. According to an estimate, French consume 11.2 billion glasses of wine each year and average individual consumes 500 snails each year. A destination that gives a tropical feel in Europe, this country relies heavily on tourism which accounts for 11% of its annual GDP. Spain combines the comforts of European travel along with magnificent beaches on the Atlantic and Mediterranean, historical sites and lively festivals and carnivals. The most popular cities are Barcelona, Madrid, and Seville and many UNESCO world heritage sites also see a large number of tourists. Guggenheim Museum is one of the modern architectural wonders around the world. The maximum number of visitors to Spain comes from Western European countries of UK, France, and Germany and domestic tourists also contribute a significant amount to the revenue. Officially known as the “Kingdom of Spain.” and the country shares its borders with Morocco, the United Kingdom, Portugal, Andorra and France. The second largest country in the EU has one of the largest tourism industry in the world bringing in billions of Euros in the economy of the nation. The country has 44 UNESCO World Heritage Sites that includes historic cities, pre-historic rock art, bridges and national parks. The country is building one of the most beautiful churches in the world, La Sagrada Familia in Barcelona and it is expected to be complete by 2026. The third largest country in the world has diverse geography which means that there is a wide range of tourist destinations to choose from. Cities like New York, Los Angeles, Las Vegas, Miami, and Honolulu are some of the most popular destinations while natural wonders like the Grand Canyon, Yellowstone National Park, Alaskan icebergs and the beaches of Florida are some of the best in the world. The most number of foreign tourists come from Canada, the United Kingdom, and Mexico. Also, the United States is one of the countries with longest coastlines. The countries two rivers, Mississippi and Missouri combine to form the longest river in the US and 4th longest river in the world. Located on the US-Canada border, Niagara Falls is one of the most beautiful waterfalls in the world with more than 14 million visitors each year and hence listed as one of the most visited tourist attraction in the world. The country is also famous for 58 national parks and numerous forests, parks and wilderness areas. The oldest one is Yellowstone National Park situated in Wyoming and was founded in 1872. Go to this iVisa link and you can check the visa requirements for Spain. Due to its Communist government and a closed position in international relations, China may seem like an unlikely tourist destination, but it has a great many advantages for foreign tourists. Apart from several sites of historical, cultural and ecological importance like The Great Wall of China, the Five Sacred Mountains, the Shaolin Temple, the Huangguoshu Waterfall, the Forbidden City and the Three Gorges, China is also cheap and has excellent public transport. It is estimated that by 2020, China will become the most visited country in the world. Reed Flute Cave is one of the most incredible caves in the world. The geography of the nation is quite diverse with river deltas, hills and plains in the east and high plateaus and mountains in the west. The countries most famous tourist attraction is the Great Wall of China which is the largest man-made structure in the world covering an area of 21,196 km. The second most famous attraction is the Forbidden City which is an imperial palace from the Ming dynasty to the end of the Qing dynasty (1420 to 1912). It consists of 980 buildings that have more than 9,000 rooms and covers approximately 72 hectares. Go to this iVisa link and you can check the visa requirements for China, Why iVisa because we want our readers to get the visa service. Italy has a rich history and most of its sites are very well preserved to date which makes it very attractive for tourists and is one of the most visited countries in the world. Italy has 50 UNESCO World Heritage Sites belonging to various periods in history. Colosseum in Rome is one of the spectacular wonders of the world. There are several Roman monuments, structures from the Renaissance period and sites commemorating the two World Wars. There are also small alpine villages offering insights into traditional Italian life, adventure sports, beautiful beaches and unbelievably good food. Romee is one of the oldest cosmopolitan city known for its influential art, architecture and culture. The 5th most visited country in the world is home to three active volcanoes named as Etna, Stromboli, and Vesuvius. It causes constant danger because of its closeness to the big cities in the country. Italy is also home world’s university still in a continuous operation called the University of Bologna, in Italy, founded in 1088. Italy is undoubtedly on the bucket list of every traveller. The country lies between the U.S. and Central America and famous among traveller for its Pacific and Gulf of Mexico beaches. The country is also known for its diverse and beautiful landscape of deserts, mountains and jungles. Officially known as the United Mexican States has 31 states with Mexico City as its capital. It is also known as the land of extreme because of high mountains and deep canyons in the centre of the country, dense rainforests in the south & east and sweeping deserts in the north. The country is known for some of the most beautiful beaches in the world and has tota 450 beaches around the Mexican coastline. The Monarch Butterfly Biosphere Reserve situated in Mexico is the World Heritage Site where millions of butterflies arrive in the reserve annually. The second famous tourist spot is the Copper Canyon which is a network of canyons and altogether greater than the Grand Canyon and the best way to explore it with a help of the “Chihuahua al Pacifico” Railway. It passes through the 37 bridges and through 86 tunnels that are as tall as 2,400 meters above sea level. The UK is favoured by many European and North American tourists for its historical sites, well-developed tourist facilities and infrastructure and a peek into the cultural dynamic of the country. London is the most popular city for international tourists and the London Bridge, the Tower of London and London Eye are some popular destinations. In 2017, it received 37.7 million foreign tourists and generated revenue of 17.2 billion dollars. There is also widespread domestic tourism with people from the industrialized South preferring the villages and pastures of the North while the Northerners prefer to visit the cities of the South. The capital city is London which is an important global city and financial centre with an urban population of 10,310,000. It is set on the river Thames and its history was dated back to Roman times. The current monarch is Elizabeth II since 6 February 1952 and official home is situated in London named as Buckingham Palace. The other important city includes Liverpool, Birmingham, Manchester, Sheffield, Leeds and Newcastle. It is one of the most visited countries in the world in 2018. Till 2015, one of the most visited countries in the world, Turkey was one of the most visited countries in the world. Its proximity to Europe and Asia, luxurious resorts on the Aegean and Mediterranean coasts, a multitude of historical monuments and cultural diversity are the main aspects that make it a very popular destination. In 2017 the host more than 37.6 million international tourists but this number has declined since. In 2015, there were many attacks by the Islamic State and political instability and this has deterred tourists from coming here. The largest city in Istanbul is Turkey with its highest point being Mount Ararat standing at 5,137 meters above sea level. The countries most famous Goreme National Park known for its beautiful landscape entirely sculpted by erosion and surroundings contain rock-hewn sanctuaries that were clear evidence of Byzantine art in the post-Iconoclastic period. It was added to the UNESCO World Heritage List in 1985 and country has a total of 15 properties inscribed in the UNESCO World Heritage List. The Church of the Holy Wisdom or Church of the Divine Wisdom also known as Hagia Sophia was built in the 6th century under the Byzantine emperor Justinian I. This prosperous Western European country derives 38 million dollars and 2 million jobs from its tourist industry and more than 37.5 million foreign tourists visited Germany in 2017. It is regarded as one of the safest countries in Europe and has many sites of cultural, historical and environmental importance. Berlin, Stuttgart, Hamburg, Nuremberg, and Munich are the cities most visited by tourists. There are many protected forests and historical sites dating back to the two World Wars that are frequented by tourists. It is also the starting point for many trans-European vacations. Rothenburg ob der Tauber in Germany is one of the most beautiful small towns in Europe that you should visit. The countries capital is Berlin which is also the cultural centre with its history dating back to the 13th century. The important cities of the country include Munich, Hamburg, Cologne, Stuttgart and Frankfurt. The country is famous for the variety of mountain ranges from the Alps to the Eifel and Hunsr’ck mountain ranges found in the Rhineland. Munich’s Oktoberfest is the world’s biggest and famous festivals in the world and usually starts in the last week of September and ends to the first Sunday in October. A cheap and vibrant tropical destination, Islands in Thailand is one of the world’s most fascinating and beautiful. The sandy beaches, sunny weather, Thai food, cheap shopping, and hotels, as well as world-class tourist facilities, make it a favourite with Asian and Western visitors. It is estimated that tourism contributed around 20% of Thailand’s GDP and that the country may get more than 100 million visitors by 2032. Medical Tourism is also thriving in Thailand and patients from all over the world visit this country to take advantage of the cheap and good quality medical treatment. It is one of the most visited countries in the world in 2018. The capital city of the country is Bangkok and Asia’s most cosmopolitan cities famous for its beautiful temples and palaces. The countries beaches are also one of the major tourist attractions for travellers across the globe. The beaches of Thailand have white sand, clear waters and iconic longtail boats situated on the shore of the sea. The Phi Phi Islands is one of the most popular resort areas in the country. It is a group of six islands and only Phi Phi Don is inhabited. The day trips are available to the nearby islands. Thailand is also home to a 9th tallest statue in the world known as the Great Buddha of Thailand situated in the 140 km north of Bangkok, in Ang Thong Province of Thailand. The official name of the country is the Republic of Austria and the population of the country is estimated to be 8,441,461 people. The official language of the country is German. The beautiful capital of the country is Vienna that lies in the country’s east on the Danube River. The topographic diversity of the country has a great variety of flora and fauna that includes various endemic issues that are under preservation. Austria has the largest ice cave in the world known as The Eisriesenwelt. The country is an autonomous territory and officially known as “Hong Kong Special Administrative Region of the People’s Republic of China.” The meaning of Hong Kong is translated to the fragrant harbour. The country is known for its maximum number of skyscrapers and has approximately 1200 skyscrapers which are 4 times that of New York. One of the most luxury countries in the world has more Rolls Royce’s per capita as compared to any country in the world. The longest road in the world situated in the country known as Tsing Ma Bridge and also the longest rail suspension bridge in the world with a span of 1,377 meters which is longer than the Golden Gate Bridge situated in San Francisco. One of the most beautiful countries located in southeastern Europe has thousands of islands surrounded by the blue Aegean Sea to the east, the Mediterranean Sea to the south and the Ionian Sea to the west. The country has three geographical regions known as Peloponnese, the mainland and the islands. It has approximately 6.000 islands in total located around the Aegean and Ionian Seas, however, 227 are inhabited. The largest island in the country is the Crete located at the southern edge of the Aegean Sea and the mainland consists of mountains, forests, and lakes. The world largest country bordered by the European and Asian countries and also the Pacific and Arctic oceans. The country landscape consists of tundra and forests to subtropical beaches. The highest mountain in the country is Mount Elbrus that reaches a height of 5642 meters. One of the oldest mountains known as the Ural mountains, however, they are not very high and some of them are taller also. The largest freshwater lake in the world is also in Russia known as Lake Baikal with a depth of 1642 metres in depth and contains approximately 20% of the world’s unfrozen fresh water. In Japanese, Japan is known as “Nihon” or “Nippon” that means “sun-origin” and translates to the Land of the Rising Sun. Over 70% of the country is mountainous and have around 200 Volcanoes. Japan is also home to 10 Percent of the Active Volcanoes in the World and the highest point of the country is Mount Fuji that stands at 3,776 meters and it is also an active volcano. The common type of Buddhism in Japan is Zen Buddhism. Japan dishes are very popular in the world such as sushi, tempura, sashimi and soba. Have you dreamt of visiting any of these countries? How many of them have you already visited? The superior comforts provided to tourists, the safe environment, well-preserved monuments and forests and the interesting culture of the destination are all factors that contribute to increasing amounts of tourism. These are the most visited countries in the world. Do post your comments.